How many people are up to no good in your neighbourhood? New website shows how many people are cheating in your area! The UK’s leading and largest married dating site IllicitEncounters.com has created a handy web application so you can search and discover how many people are looking for an affair in your area. 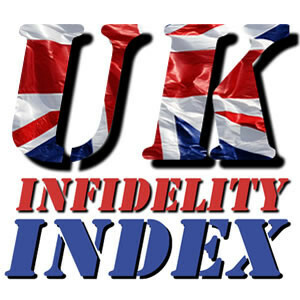 The interactive Infidelity Index allows you to search a town or postcode and discover how many people in your area, are registered on the UK’s largest married dating site. Maidenhead has claimed the title of the most illicit town in Britain with just over 2% of the population cheating, with Bournemouth being declared most faithful. IllicitEncounters.com is celebrating it’s 10 year anniversary this year and have been providing a meeting place for like-minded married and attached people. Users have one thing in common – they are all looking for a little romance outside their current relationship. Whether that’s the occasional bit of flirtatious chat, no strings intimacy, or a full-blown affair, that’s up to them. IllicitEncounters.com is the UK’s largest and longest running dating site for married people. With over 850,000 members across the UK, you’re sure to find your perfect match..